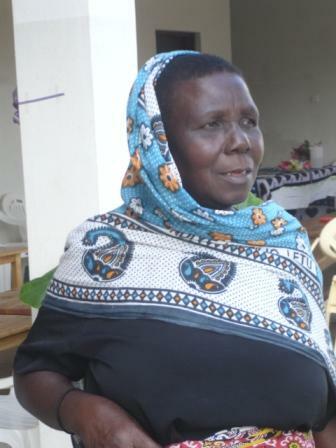 Grace is the day-to-day adminstrator of the project on behalf of the Women's Group. 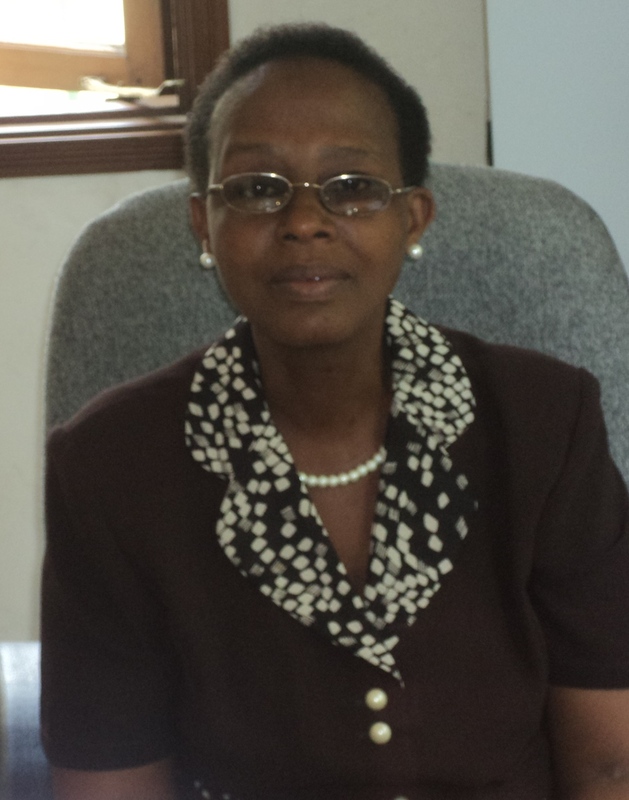 She organises everything, including the education, feeding and health care of the children, liaison with sponsors and donors, the financial accounting, interviewing of needy families and home visits, counselling, maintenance of building and grounds and many other activities. 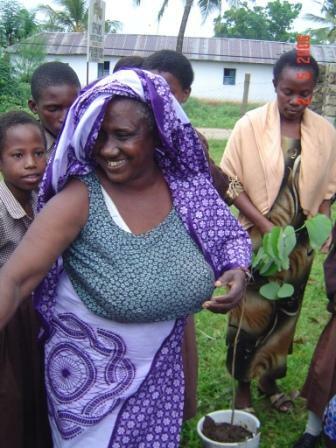 She was a founding member of the Womens' Group and the Orphans Support Project. Without her the project would grind to a halt. 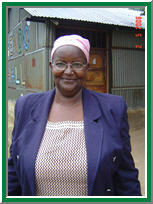 Irene is the Head Teacher of the nursery school which operates at the orphan support centre. The school takes in both orphans and other children in the community. Its profits go towards supporting the orphans. 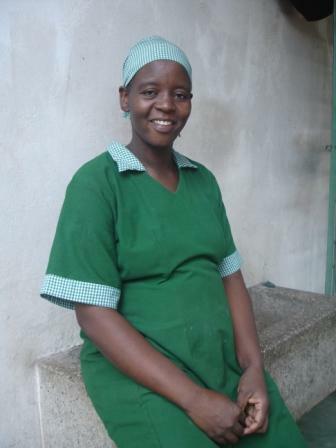 Irene has made the school into one of the most desirable nursery schoos in Kilifi. There is always lots of fun and activity there. See for yourself by visiting one morning at assembly time when you will be treated to much singing and dancing. 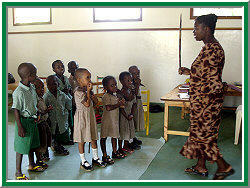 We run a commercial nursery school where children - orphans and non-orphans - go for three years prior to primary school. 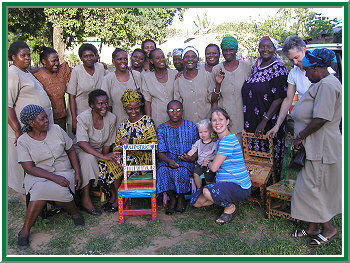 In 2010 we also started a primary school, and in 2011 a day-care centre for pre-nursery children. These extremely hard-working and cheerful ladies turn out more than 150 meals per day - two each for the orphans, plus cooked lunches for other children at the nursery school. A typical meal is rice, cabbage, beef stew and a banana. 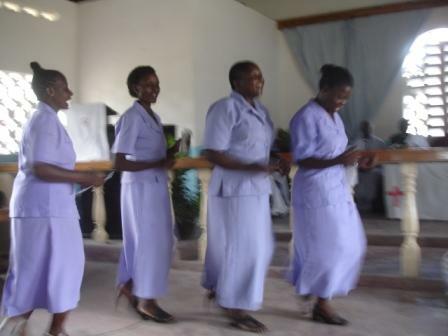 Rachel and Elizabeth help take care of the children's clothes, the gardens, the cleaning, and other daily activities such as escorting the children to the hospital for their anti-retroviral medication. 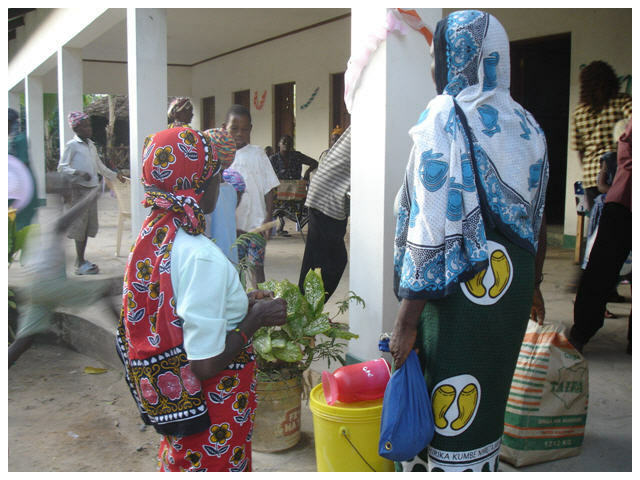 The Kilifi Methodist Church Women's Group started the project, funding the support of 10 children from their own pockets for years. 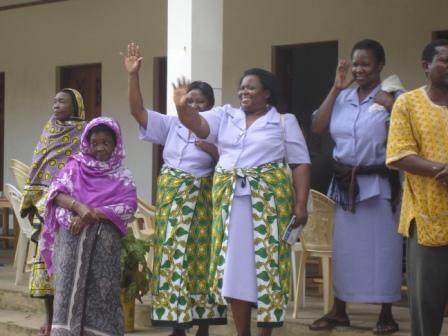 Now that there is good support for over 50 orphans (mainly from individual sponsors), the ladies act as caretakers of the Project, running the various committees for Procurement, Education, Counselling and Outreach. All of the children are housed with guardians. This means that the children are brought up in a family envrionment. 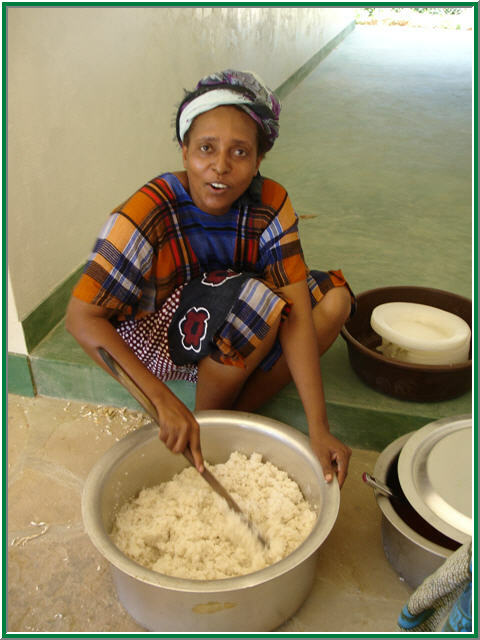 Guardians are supported by the project as their needs dictate. 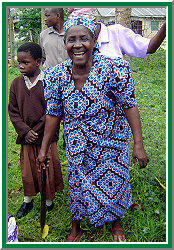 Many of them are elderly grandmothers who have little or no income but many mouths to feed. We have re-built houses for several of these families. 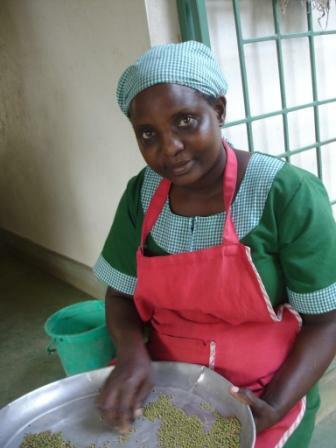 Some of the guardians also help out at the project with gardening, cleaning and cooking.